Front of earrings, purple when cool, blue when warm. 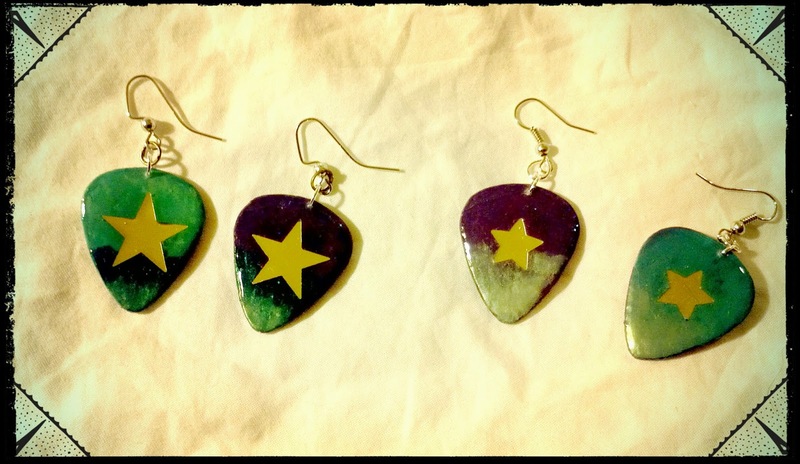 Two color changing guitar pick earrings made from color changing nail polish called "Lying" by Digital Nails! Both pairs feature layers of colors with gold stars with glitter and a gem on the back.